Saw a smiley photo of myself the other day. Not proud. When did my teeth get so damn yellow? I just got them whitened a few years ago through BriteSmile (loved), but my coffee habit seems to be upping the ante on my not-so-pearly whites. Since &apos;? ?tis the season for snapshots and big bright smiles, I had to do something. 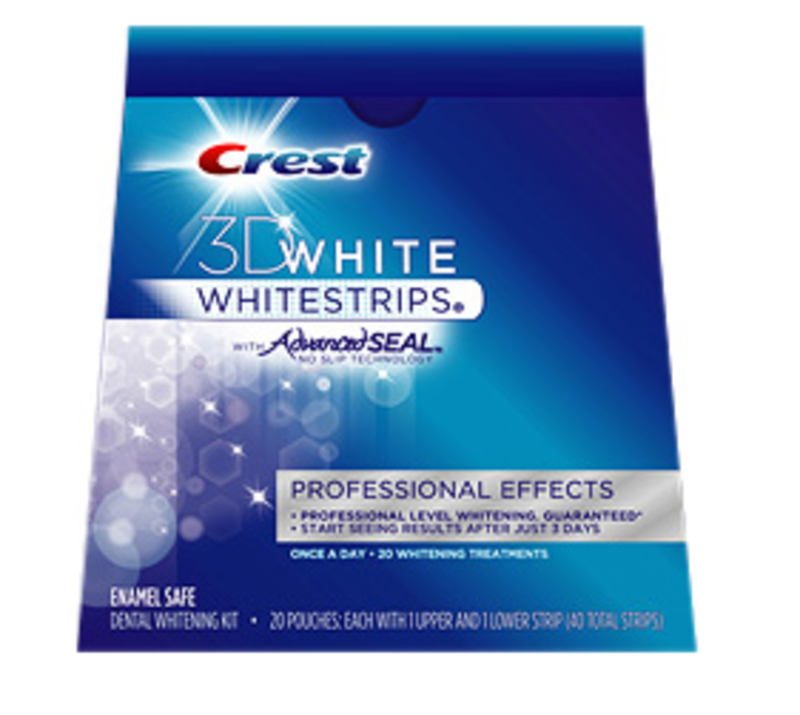 My friend swears by Crest 3D White Whitestrips Professional Effects saying that they made her teeth all shiny and white. Although a pricey option (hovering around $50, but you can always find coupons online), I gave the two-hour express kit a shot and they quickly helped brighten and whiten up my teeth for those holiday closeups. But aprÃ©s season, I&apos;m heading back to my dentist for the real whitening deal. Pricy, yes. Awkward, yes. Better than all the rest, yes! Pass the Cheese: When you&apos;? ?re at that holiday party, hit the cheese plate before the bar. Calcium found in cheese creates a film over teeth and protects them from the acid in wine that can stain them. Something Fishy: Recent studies show that two servings of fish every week help prevent against gum disease, opt for fish rich in Omega-3s, such as salmon or tuna. Pucker Up: Locking lips for a NYE midnight smooch increases saliva production, a natural lubricant that washes away plaque. Lipstick Choices: A blue-based red lipgloss will make your smile appear whiter and brighter. Shine On: A simple pair of sparkly earrings can make teeth appear whiter. And avoid gold jewelry, which can exaggerate yellowish tones. An Apple a Day: Munching on crunchy snacks like apples or celery is as effective as brushing. Raw fruits and veggies are loaded with fiber, a natural abrasive that can help clean teeth. Sip Through a Straw: Coffee, red wines and dark sodas are main causes of yellowing, so sip your latte or soda through a straw.